CHINA: China Huaneng Group has announced deals to purchase around $1.2billion-worth of turbines as it seeks to ramp up its wind energy plans. Huaneng, which is the country's largest power producer, handed deals to six suppliers for 1.8GW. The company hopes to have 20GW (10% of its total electricity output) online by 2020. Its current wind capacity is 2.8GW. The manufacturers are all based in China and include Dongfang, China Shipbuilding Industry Corp and Zhejiang Machinary. The six suppliers will also supply around 300MW. 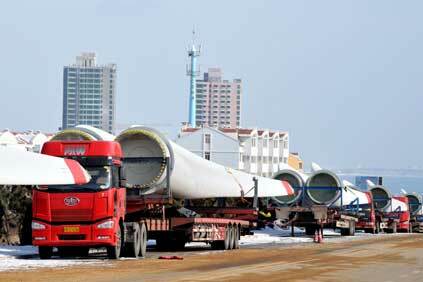 According to reports the Huaneng is looking to build wind farms in both northern and southeastern coastal regions of China.